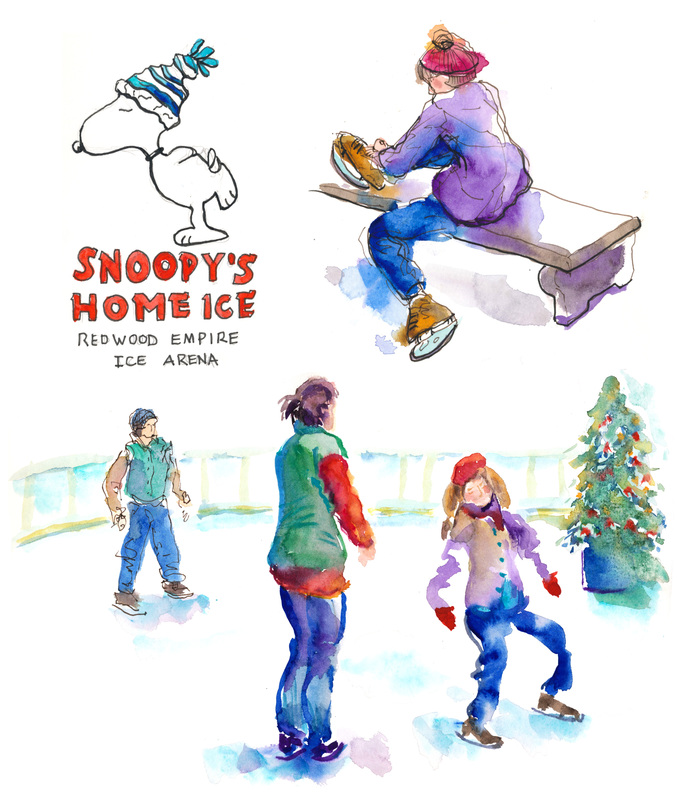 Each year I kick off the winter holidays with a visit to Charles M. Schulz’s Redwood Empire Ice Arena. The festive atmosphere is enhanced with holiday decorations, seasonal music, and bundled-up ice skaters, all of which bring back childhood memories and provides a unique opportunity to sketch. But once my fingers get too cold to paint, I head into the Warm Puppy café for a cup of hot chocolate and park myself next to the table where Schulz himself use to sit every day before working on his beloved comic strip, Peanuts. December 14, 2014 Richard SheppardComments are off for this post.